no_meet_ups Never replied but made an offer. Even asked where to pay. Hindi ko tuloy alam ko reserved yung item or what. It's been two days without replied. Sorry, but will be forced to give it to next customer. 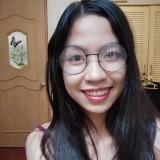 @jem_kristine is on Carousell - Follow to stay updated!